Why is it essential to promote creativity? Business leaders, politicians and educators emphasize the vital importance of promoting creativity andinnovation. Why does this matter so much? What is the problem? Why do so many people think they’re not creative? Young children are buzzing with ideas. What happens as we grow up and go through school to make us think we arenot creative? In entertaining anecdotes, Kelley illustrates some of his firm’s own successes (and joyful failures), as well as pioneering efforts at other leading companies. The book reveals how teams research and immerse themselves in every possible aspect of a new product or service, examining it from the perspective of clients, consumers, and other critical audiences. Disrupt is about a way of thinking that surprises the market again and again with exciting, unexpected solutions. A way of thinking that produces an unconventional strategy that leaves competitors scrambling to catch up. A way of thinking that turns consumer expectations upside down and takes an industry into its next generation. It’s what Luke calls disruptive thinking. In this process–the one you’ll be following in this book–disruptive thinking is not so much about how to spot and react to disruptive changes in technology and the marketplace; it’s about how to be the disruptive change. 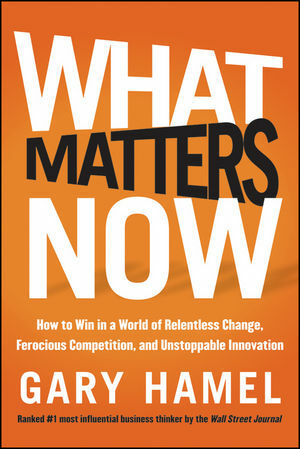 What Matters Now is Gary Hamel’s impassioned plea to rethink the fundamental assumptions we have about management, the meaning of work, and organizational life. He asks, “What are the fundamental, make-or-break issues that will determine whether your organization thrives or dives in the years ahead?” The answer is found in five paramount issues: values, innovation, adaptability, passion, and ideology. Values: With trust in large organizations at an all time low, there is an urgent need to rebuild the ethical foundations of capitalism. What’s required is nothing less than a moral renaissance in business. Here’s a link to a Forbes review of the book. A step-by-step guide to the 10 essential and practical skills a business needs to innovate and thrive in uncertain times. The reinvented world of business will profoundly impact America’sn(and global) leaders and workers in the decade ahead. Companies capable of transforming their organizations during this period of “Great Disruption” will thrive in the reinvented world however, the reverse holds true as well. Innovation in a Reinvented World helps executives and leadership teams navigate and manage their organizations’ inflection points in designing, building, and sustaining innovation—even through the post-recession playing field. The role of the devil’s advocate is nearly universal in business today. It allows individuals to step outside themselves and raise questions and concerns that effectively kill new projects and ideas, while claiming no personal responsibility. 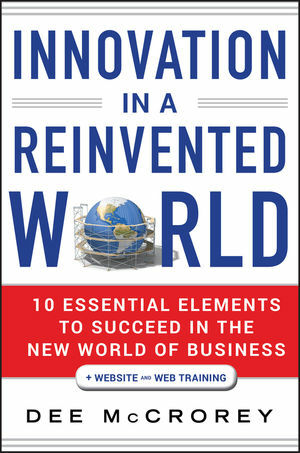 Nothing is more potent in stifling innovation. 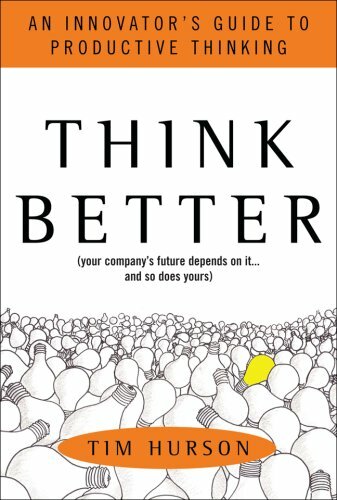 Think Better is about Productive Thinking — why it’s important, how it works, and how to use it at work, at home, and at play. Productive Thinking is a game changer — a practical, easy-to-learn, repeatable process that helps people understand more clearly, think more creatively, and plan more effectively. It’s based on the thinking strategies that people we celebrate for their creativity have been using for centuries. Tim Hurson brings Productive Thinking out of the closet and presents it in a way that makes it easy for anyone to grasp and use — so you can think better, work better, and do better in every aspect of your life. In this trailblazing book, internationally renowned business creativity expert Michael Michalko shows how creative people think—and how to put their secrets to work for you. To create this book, Michalko researched and analyzed hundreds of history’s greatest thinkers—from Leonardo da Vinci to Pablo Picasso—and then brought their techniques into the modern home and workplace. The follow-up to the popular THINKERTOYS, which sold over 80,000 copies. This book is a good resource for creativity techniques, to help you harness all your great ideas and put then to work in your organisation. It brings together for the first time all the most valuable tools for generating breakthrough ideas – free from consultant’s hype. From brainstorming and brainwriting to Mind Mapping and story-boarding, every page of “The Ultimate Book of Business Creativity” will inspire you to think about your business in a radically different way. Roger von Oech uses a combination of explanation, puzzles, and irreverent artwork in his treatise on creative thinking. 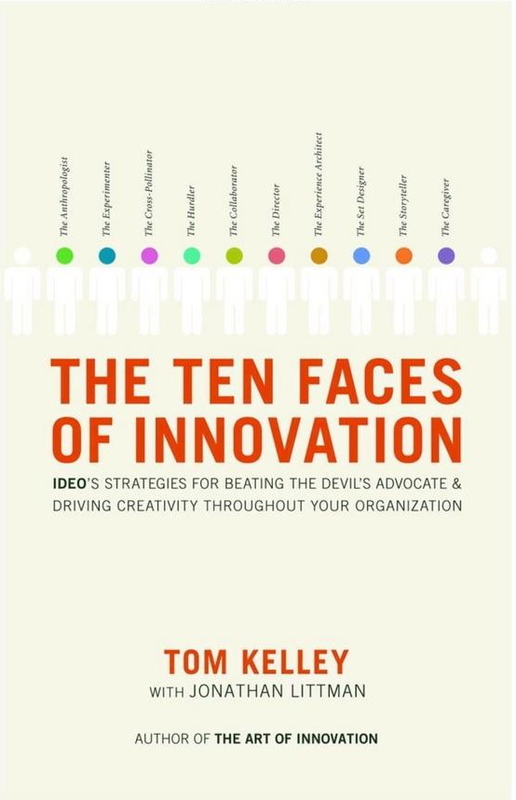 This is a book about the ten mental locks that prevent you from being more innovative and what you can do to open them. Many of the ideas presented here come from the author’s experiences as a creative thinking consultant in industry. During the past five years he had the opportunity to work with many innovative and/or interesting companies. He worked with people in marketing, engineering, data processing, finance, research and development, television, and retail. This book contains stories, anecdotes, insights, and ideas that came out of the workshops he conducted as well as many of his own thoughts about what can make you more creative.